Ayurda is a Sanskrit name translating to ‘bestower of longevity’ that resonates perfectly with Ayurda’s holistic approach to beauty. Incorporating the wisdom of the Ayurveda philosophy, Ayurda recognises that everyone is unique – what works for one may not necessarily work for another. Ayurda’s skin care range delivers amazing result thanks to our unique customised approach to skin care. Based on our understanding of your specific needs we can help you achieve healthy, glowing skin, naturally. 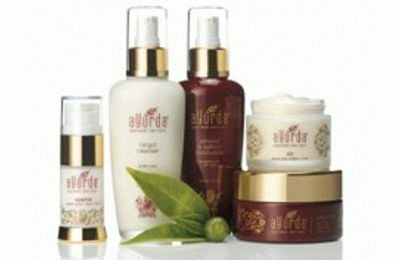 Ayurda is the first skin care brand to link beauty to wellbeing. Our customised approach ensures your skin care has a balancing effect on your face and skin (not just anyone’s skin). It can change your life. Our signature facials include face, hand and feet marma point massage which bring balance to the body’s energy system and leave you feeling relaxed and rejuvenated from head to toe. Choose from our Vata facial for dry skin, Pitta facial for sensitive and oily skin and Kapha facial for oily and sluggish skin. A traditional beauty secret, gold has been used for centuries to restore youthfulness. 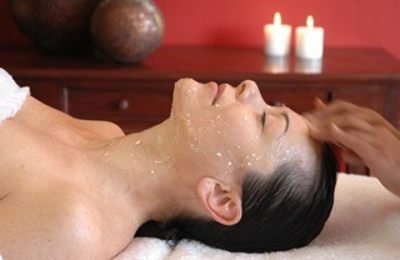 This indulging facial is toning and stimulating. 24 carat gold leaf is massaged into your skin, followed by a herbal face pack, leaving an exceptional natural glow. Silver has been used for centuries for its cooling and healing properties. This treatment gently calms and soothes inflamed skin. The skin is left feeling refreshed and rejuvenated, resulting in clearer and happier skin. A natural healing facial that exfoliates soothes and increases cellular regeneration. A special custom- made pack of fresh fruit and a botanical herb pack leave your skin totally fortified. Our pure skin and body care products are formulated with all natural and organic/wildcrafted ingredients to create “nutrition for the skin”. He is also the only Doctor outside India who has worked for the Government of India for over 18 years – he held various positions in both Ayurvedic hospitals and pharmacies. As the founding director of Planet Ayurveda, an organization representing the ancient system of medicine, through its three Ayurvedic companies, Dr.Ajit is our Ayurvedic expert and brings with him much Ayurvedic knowledge. Rippan explains how Ayurda was born: “Our customers are ordinary people like myself. Our lives can be very demanding at times and there is no time for complex skin care regimes”. And with this simple mantra in mind Ayurda, a simple yet effective skin care that caters to unique skin care and lifestyle needs, was born.